Here is my summary of how I chose binoculars, range finders, gps units and a spotting scope for professional wildlife field surveys and how I now need to make buying decisions again for my personal outdoor gear. For the last 15 years, I have been working as a wildlife biologist and before that, I spent about two months every year since the early 1980s counting and trapping raptors during their Fall migration. I have spent more than my fair share of time looking at birds and wildlife with binoculars and spotting scopes. I have actually looked through binoculars from sunrise to sunset for weeks at a time. Not complaining, just saying. After so many years of using different brands, magnifications and sizes of binoculars and field scopes, I know what equipment is best for different situations in the field. We hired a new wildlife survey crew several years ago and I was responsible for purchasing all the new field gear. I bought 10 pairs of binoculars, 10 range finders, 10 GPS units and 3 digital cameras for myself and the field crew. I didn’t buy the best, most expensive gear available because we were on a tight budget. Truth is, you don’t always need top of the line equipment to get the job done, but the gear has to be good and dependable because we use it in harsh field conditions for at least 40 hours every week. I bought 10 pairs of Nikon Monarchs (5 pairs 8X42 and 5 pairs 10X42). I have long considered the Nikon Monarchs as a benchmark for comparing reasonably priced, good quality binoculars for watching birds and wildlife. They are not the top of the line, but they are rugged enough to stand up to rough treatment in the field and the quality of the optics compares to other brands that cost hundreds of dollars more. 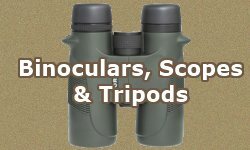 I chose the 8X and 10X magnification and 42mm objective lens, because they offer a good balance between durability (toughness, armor coating, fog proof and waterproof) and low weight needed for carrying in the field to the magnification, field of view and visibility in low light conditions for viewing birds and wildlife in the field. The cost of the Monarchs ranges from the low $200 range for the 8 power and about $240 for the 10 power. The Nikon Monarch is the first pair of binoculars I plan to look at when I buy another pair for myself. This model was definitely not the best range finder available, but it did the job we required. Most of the distances we needed to measure were less than 200 meters, so we didn’t need a range finder that could measure over 1000 meters and we didn’t need rangefinders with built in ballistic calculators. This model claims to be able to measure from 5 to 999 yards. Maybe true if you were ranging a mirror, but to range something above 400 yards, the unit had to be held extremely steady for several seconds and it was difficult. My main reason for buying these was the fact that they use 9 volt batteries which are inexpensive and easy to find. That’s right, my primary buying decision was made because of the type of battery they use. I’ve used other range finders in the past that seem to use up a lithium CR-2 battery every single day. Those batteries are easier to find now than they used to be, but I have lost days in the field because we couldn’t find CR-2 type batteries in small rural town. I had to send someone to a larger city over two hours away just to find batteries. I can find 9 volt batteries anywhere and they last a long time. I bought the Bushnell Yardage Pro 450 several years ago for $199. They have been replaced by the Bushnell Sport 450, but are still available online for about $150. For my personal use, I bought a Leupold Rangefinder. 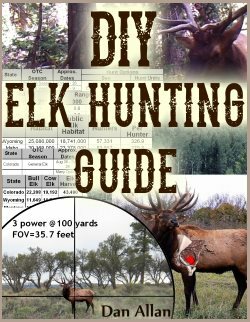 It quickly acquires targets out past 600 yards which makes them more useful for hunting. 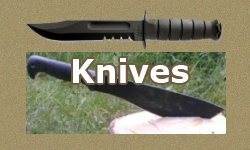 It would be nice to also have the version that calculates ballistics as well, but I will have to make that fit my budget. Yeas ago, I chose the Garmin GPSMAP 60 CSx GPS units for our crew because they were recommended to me by another biologist that used that model. We use GPS units to find exact locations in the field for surveying and to follow exact (+/- 1 meter) transect lines while surveying. I had been using an old Magellan SporTrak GPS units and while they did the job, we were spending a lot of time entering way points by hand because the computer connection cables were missing. The main features that I liked about the Garmin GPSMAP 60 was the long battery life compared to other GPS units I have used in the past. Batteries generally lasted for several days with nearly continual use for 4-6 hours per day. The 60 would also still function after warning that batteries were low, unlike other units that simply die and require new batteries before continuing. These GPS units were always able to connect to satellites and therefor always provided location data even in deep canyons and the few times were were under heavy tree cover. They were easy to upload and download way-points from a laptop computer and there were a variety of background maps that could be used if needed. The screen was on the small side compared with other upscale units, but was very bright and clear. After a few seasons however, the screens were starting to show some scratches. An additional feature that I always find useful on a GPS unit is the sunrise and sunset data. Our protocols required that we start surveys at or before official sunrise, so having that data always available was a big plus. This is a good feature for hunters to consider also, because they need to know official sunrise and sunset to know when legal hunting hours start and stop. The Garmin GPSMAP 60 has been discontinued and has been replaced by the Garmin GPSMAP 62 and now by the GPSMAP 64. I have a GPSMAP 64 now for my personal use. 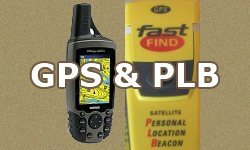 These high end GPS models were originally priced at over $500. Because I bought 10 units at one time, I was able to get them new for $325 each back in 2010, but are now well less than $300. In addition to the GPSMAP 64, I still have (and use) an old Magellan SporTrak GPS unit. With either unit, I always know where I am and where to find the truck and can set any waypoints I need. We also had a very nice spotting scope, Kowa TSN 884 with a professional Manfrotto tripod that I inherited from another project and kept with me to prevent anything from happening to it, if you know what I mean. This was a top of the line spotting scope and I don’t know how anyone found money in the budget to buy it, but I am glad they did. We have used the Kowa scope for all kinds of surveys including shorebird, waterfowl and Bald Eagle surveys and for watching every kind of wildlife from “pot-guts” to pronghorn. 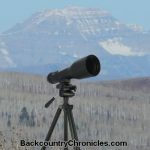 I have also used the Kowa scope to watch elk at over 2,500 yards away, and in the right light, I could even count the points on their antlers. With an objective lens of 88 mm, this is a full sized spotting scope, with superb clarity even at low light. If you need a scope to use with a window mount right from your truck, if you have the money, you won’t be sorry you got it. We made tubes from 6 and 4 inch pvc pipe to help carry and protect the tripod and the scope when we strapped them on the 4-wheeler, but this is not a scope to throw in the backpack and take into the back country. I would love to have one of these, but for now, I need a smaller scope that is easier to pack around. Most of the field gear (binoculars, spotting scopes, range finders, GPS units and even digital cameras) that I used during my time as a wildlife biologist was provided by my employer and now that they are no longer my employer, all my gear is gone. Gone are my Nikon Monarchs (8X42), the Kowa TSN 884, the professional Manfrotto tripod, the Bushnell range finder, the Garmin GPS unit and gone is my Canon Powershot digital camera. The only pair of personal binoculars that I still own is a pair of Pentax Jupiter 7X20s. A great little pair of binos to hang around your neck or to throw in the backpack or glove box and have them when you want them, but not great for scanning the sky or a hillside all day. The only spotting scope I have is a Trekker 25-75X75 that I bought during an in-store special for $49. After using the Kowa for so many years, it is hard to be happy with the Trekker in the field, but I do take it to the range and use it to check my shot groups. I know, I have been spoiled. They are better than nothing, but I prefer to scan with a good pair of binoculars. Oh yeah… I don’t have those anymore either. So good news and bad news for me. I get to buy all new gear, but the bad news is that I also get to pay for it. 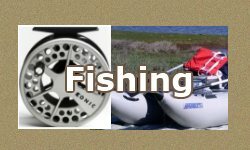 Lori: I am not aware of any video equipment with built in range finding capabilities. Sounds like an interesting survey method. I am curious about what species you are surveying and how you intend to use the video and the exact distance. Can I assume you are going for density estimates using something like Program Distance? Is your video equipment to be operated remotely or by humans? If your video equipment is to be be operated by humans, they probably still need binoculars and range finders. I had a friend that got the Leica Geovids with rangefinder for his field crew. I had a chance to use them in the field and wish I had a pair when I was doing field surveys. They are a bit pricey, but perhaps you can negotiate a deal with someone if you are buying 5 or 6 at once. Hello there. What binoculars can I buy to find the GPS location of say a boat at sea? You can obviously buy a range finder, but normal rangefinders have a hard time measuring distance over 800 – 1,000 meters. Your “ships at sea” could be be miles away. But it can be done if you are willing to spend the money. The LRB 6000CI Rangefinder Binoculars can measure the distance to objects up to 6 kilometers and also measure elevation, azimuth and speed. For less money there are a few binoculars that have built in rangefinders and the (Bushnell Fusion 1-Mile ARC Binocular Laser Rangefinder) can measure objects up to a mile away. You will still have to do the trigonometry to calculate the gps of the target.